(Newser) – China wants to keep its arts culture pure and its crowds demure, which is why the country has banned the naughty influences of … Justin Bieber. The Guardian reports the 23-year-old pop star isn't permitted to perform in China during his Purpose World Tour stopover in Asia later in the year because of his "bad behavior," per a statement that popped up on the country's culture bureau website this week. 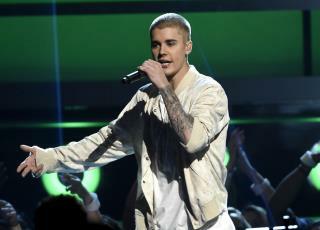 Bieber "is a gifted singer, but he is also a controversial young foreign singer," the statement notes, adding that Bieber's reported antics, "both in his social life and during a previous performance in China," have "caused discontent among the public." The decision was made in order to "purify the Chinese performance environment." China must first ban its disgusting Communist Party Structure. Then let's talk about Justine, a kid, a child and still learning how to learn. Glass houses, China. Mao and your DISGUSTING CULTURAL REVOLUTION attacking your own elderly and eating their little pet dogs forcing them into the fields. And now those youthful airheads that ran amok under womanizer Mao, just like Justin (not about womanizing as idk), are ELDERLY. Rich. Stalin's dorks have yet to pay, too. So you have company. Putin is trying, though. A little light. And my USA is struggling to support the first American President since JFK and Ike! Go President Trump! He's a little rich punk American that everybody says yes to, what do you expect?